Faced with a resurgent working class the Iranian regime is preparing itself for class war. Recently “defenders of the sanctum exercises” – which are war games for the regime’s interior security organisations like the Pasdaran and Basij – have taken places in various counties and provinces of the country. 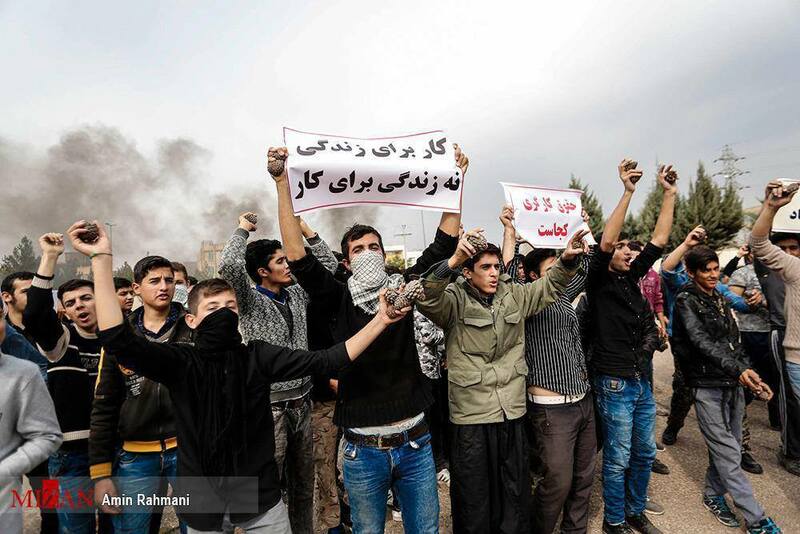 The exercises in Takestan County, in Qazvin Province (north-west of Tehran), included a scenario where the rioters had placards with slogans like “Where are workers’ wages?” (a reference to the common problem of unpaid wages) and “Work for life/ Not live for work”! Although these para-military exercises are part of the regime’s preparations for subduing all ‘hypothetical rebels’ and ‘saboteurs’, those in Takestan are clearly aimed at smashing workers’ protests. While preparing itself for more organised and rapid repression of anyone thinking of rebelling against it, the regime is also opening up the possibility of compliant and gutless trade unions (and other rights organisations). The recent election of Alireza Mahjoub, the head of the regime-controlled Labour House, to the World Federation of Trade Unions (WFTU) Presidential Council is yet another step in the regime’s strategy of rehabilitating itself in international organisations. By accepting Alireza Mahjoub as a workers’ leader (!) the WFTU is assisting the regime in the task of making its anti-working class repressive tool look like a genuine workers’ organisation. No doubt the Labour House and similar organisations will have an important ideological role in the regime’s class war against independent labour organisations and the unlimited right to strike.